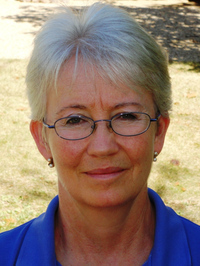 Vanessa Couchman has read 19 of 70 books. Vanessa Couchman read 70 books of her goal of 70! Vanessa Couchman read 72 books of her goal of 70! Vanessa Couchman read 91 books of her goal of 90! Vanessa Couchman read 92 books of her goal of 90! Vanessa Couchman read 83 books of her goal of 80! Vanessa has lived in southwest France since 1997. She is fascinated by French and Corsican history and culture, which provide inspiration for her writing. Following her two novels in the Tales of Corsica series, current projects include a sequel to The House at Zaronza, based during WWII. Vanessa has also completed part 1 of a three-book series set in France about a woman of humble origins who becomes an opera singer. Vanessa's short stories have won, been placed and shortlisted in creative writing competitions. A collection of her stories inspired by and set in France, French Collection: Twelve Short Stories, was published in 2017. Vanessa was a founder of the annual Parisot Literary Festival, now an established event in the literary calen Vanessa has lived in southwest France since 1997. She is fascinated by French and Corsican history and culture, which provide inspiration for her writing. Vanessa was a founder of the annual Parisot Literary Festival, now an established event in the literary calendar. To ask Vanessa Couchman questions, please sign up. Description: This is Chapter 1 of my published debut novel, set in early 20th-century Corsica and at the Western Front during World War I. The story starts in the present day with a young British woman seeking to trace her Corsican ancestors. We’d love your help. Let us know what’s wrong with this preview of Sheriff and Priest by Nicky Moxey. We’d love your help. Let us know what’s wrong with this preview of A Taste for Vengeance by Martin Walker. We’d love your help. Let us know what’s wrong with this preview of The Templars' Last Secret by Martin Walker. We’d love your help. Let us know what’s wrong with this preview of The Crowded Grave by Martin Walker. We’d love your help. Let us know what’s wrong with this preview of The Devil's Cave by Martin Walker. Sue1958 wrote: "Thank you Vanessa for connecting with me"
Hi Sue, I'm terribly embarrassed, because I've only just seen this message from you dating back to Jan this year. Even after more than 2 years, I'm still getting my head around Goodreads. Thank YOU for connecting. I'm always interested to read your incisive reviews. How many books a year do you read? !